It’s all about that bass this time of year … well, base layer, that is. Pacers Running, with six locations between D.C. and Virginia, has lots of apparel that can serve as excellent base layers for runners hitting the pavement during winter’s whipping winds and cooler temperatures. Smartwool products are both stylish and promise to keep runners warm, said Megan Truelove, the assistant manager of Pacers’ Clarendon location. The base layer items can cost from around $100 to $160. “They are really nice items that someone really may want, but may not want to spend on themselves,” Truelove said. She also recommends Janji, an athletic apparel brand that incorporates globally-inspired designs and donates 5 percent of its sales on each piece to help fund clean water projects in various countries. “It’s cool for the holidays because you’re getting the benefit of cool apparel and you’re helping someone else,” Truelove said. Janji’s vests, hoodies and tights sell at Pacers between $80 and $90. “Some are lined, but they all breathe really well and they fit a huge range of sizes,” Dietrich said. The Oiselle leggings range between $82 and $96 at Core 72. Tights and a top from professional Norwegian skier Kari Traa’s line. They are sold at Core 72, which has a location in Chevy Chase and D.C. Tops, tights and jackets from professional Norwegian skier Kari Traa’s line are worthy investments, Dietrich added. The windproof and reflective items are great not only for running, but also for any outdoor activity during the colder months, she added. Tights can cost around $90; jackets can be as much as $180. It’s important for runners to be ready for all types of weather. The Sugoi Firewall 180 Jacket is a great gift for the cold-weather trainer, said Potomac River Running’s Director of Marketing Kristin Idle. The $160 jacket has wind and rain protection as well as a lightweight thermal knit for some warmth. 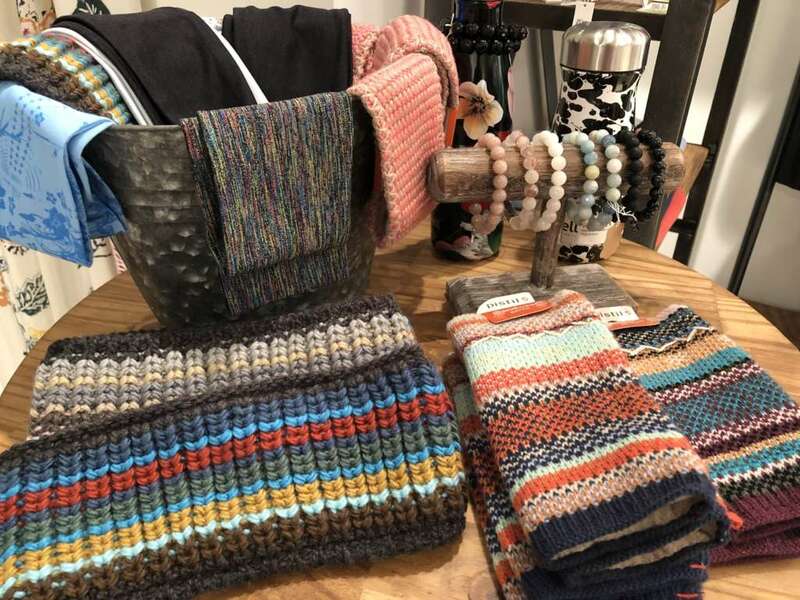 Potomac River Running, with nine locations in the D.C. area, sells other apparel that can keep runners warm and ready for whatever winter throws at them. The ON Weather Vest ($139.99) and The Northface Ambition Jacket ($85) are a few of Idle’s other top picks. One big budget item you may want to pass on? The shoes, Truelove says. While most specialty running stores have no shortage of shoe options, the runner on your list should really come in to the store for a proper fitting, she said. Forget drones and and virtual reality under the Christmas tree — running’s latest tech trends may focus more on GPS tracking, safety and headphones. Watches are some of the best tech gifts for runners, said Trulove. She recommends the $170 Garmin Forerunner 35. It’s a great option for entry-level Garmin users and has all of the bells and whistles such as heart rate monitoring, GPS technology, smart notifications and sleep tracking. Also, it’s “nice and sleek and won’t take up a ton of space on your arm,” she said of the oft-bulky GPS watches. It may be time to upgrade your runner from a crusty old pair of earbuds to the newer technology, Truelove said. Aftershoks’ Trekz Air are wireless, bone-conducting headphones with an open-ear design. “We are big fans because it’s not cutting off from hearing everything going on around you, and also it’s better for your ears,” Truelove said of the headphones that sell at Pacers for $150. PR sells similar headphones for just shy of $100. Safety is at top of mind as days get shorter and many runs drift into the darker hours of the day, and the $30 Wearsafe Tag may help give runners’ friends or family some piece of mind, Idle said. The quarter-sized tag instantly shares GPS coordinates with a network and alerts them if they are in danger, she added. This holiday season you can stuff stockings with … stockings. Socks can be a great gift, Idle said. At PR, the $16 Stance socks are perfect for wicking sweat and come in fun colors, too. On the more expensive side, the $60 CEP Run Sock “improves blood flow, reduces muscle soreness and quickens recovery time,” she said. You can also pick up Bolega brand socks at Pacers and Core 72 for around $20 or less. Buff headbands and headwear sold at Core 72 range between $13 and $20 and can keep runners’ heads and necks warm during chilly adventures. Many of them have reflective details, too, Dietrich said. Runners can shine like twinkle lights with varieties of lights and reflectors that can be clipped on to clothes or shoes. Pacers has lights and reflectors from Amphipod and Nathan for around $10 each, Truelove said. Light spurs that attach to shoes are another option and cost $20 each at Pacers ($40 for a pair). Sunglasses can help runners be as prepared for daylight jogs as the nighttime ones. Goodr Sunglasses are polarized, boast that there is no-bounce and come in many colors, Truelove said. “They don’t look like your technical sunglasses and [since they’re inexpensive] it’s not a big deal if they get lost or broken,” Truelove said. You can snag a pair at Pacers for $25, or pay $30 for these cool D.C. flag ones. And if you just can’t decide on what to get a runner, gift cards are always a good fallback option, Dietrich said. “Most of our customers want to [get] a gift for someone, so we work with them to figure out who they are shopping for and what they want … but a gift card is always a great option too,” she said. Stuff stockings with socks this holiday season. 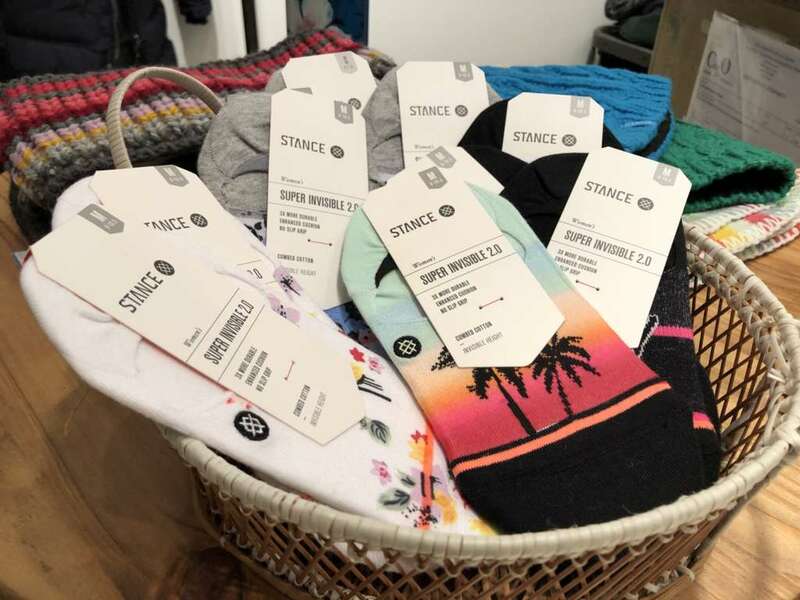 The Stance socks sold at Core 72 cost between $12 and $16.